The holidays will be here before you know it. And who doesn't love getting something sweet as a gift? 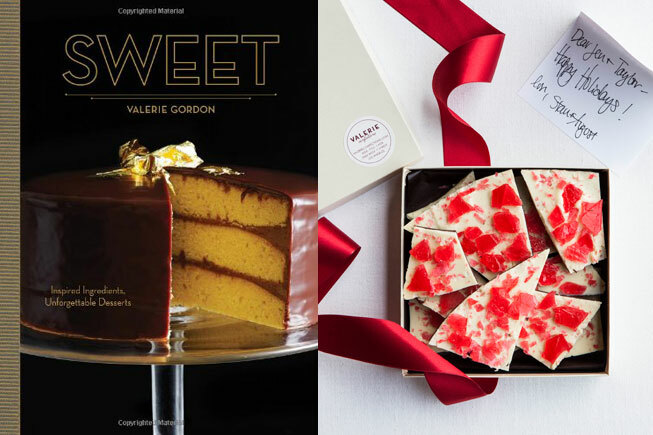 Valerie Gordon's new cookbook is brimming with decadent desserts and classic recipes! "With this comprehensive cookbook filled with Valerie Gordon's beloved recipes, now even more people can eat and bake the Valerie way. Favorite desserts like petits fours, cakes, truffles, and cookies have been perfected with the addition of candied rose petals, atomized chocolate, fleur de sel, matcha tea, and other special ingredients. Valerie re-creates desserts from Los Angeles’s lost restaurants such as Chasen’s and the Brown Derby; she simplifies the process of making jam; she provides an accessible way to mix and match components so readers can design their own luscious cakes and pies. Filled with helpful tricks, recipes for a range of tastes, and gorgeous full-color photographs, Sweet is destined to become every baker’s favorite cookbook." It's The Most Wickedful Time of the Year! The Great Pumpkin Challenge is BACK and BIGGER than EVER! Decorate a pumpkin at home (no carvings permitted) and drop it off at the library October 13th-18th. Library patrons will vote for their favorites the week of October 20th. Winners will receive a grand prize! Tell your little ones to get into costume for our annual Halloween Spooktacular! Children will participate in a variety of games and activity and go trick-r-treating along the way! COSTUMES ARE STRONGLY ENCOURAGED! Are you a teen in grades 5-12? Do you love Halloween? Of course you do! Stop in and join in all the spooky, gory fun. We'll carve jack-o-lanterns, have scary-good snacks, and get gruesome zombie makeovers. You might just win tickets to a local haunted attraction! Our most popular program for teens takes a turn for the spooky in this special Halloween-themed version of movie night!